Rauner vs. Kavanaugh—who’s the biggest fraud? 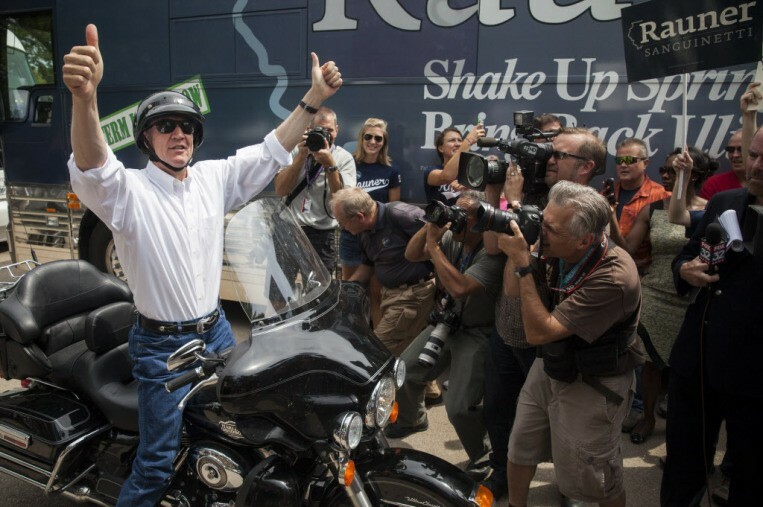 What is it with Illinois governors? As recent events unfold, a pressing question emerges: Who’s the bigger fraud, Judge Brett Kavanaugh or Governor Bruce Rauner? Consider the case for Kavanaugh, Donald Trump’s latest Supreme Court nominee. Kavanaugh wants America to believe he’s the victim of a massive left-wing conspiracy hatched by the Clintons as payback for the 2016 presidential election. As opposed to what he really is—a Republican political hack who threw a hissy fit at this week’s senate Judiciary Committee hearing after Christine Blasey Ford, a highly credible psychologist who has nothing to do with the Clintons, accused him of sexually assault. , Kavanaugh’s passive-aggressively doing just that—questioning her claims. On the other hand, there’s Governor Rauner, who on his political deathbed seems to have come to the realization that he’d better scurry to the center because he’s down in the polls to J.B. Pritzker, his Democratic opponent. who’s offended both the left and right. Wow. All right, let’s unpack this one. I must concede that there’s a small—very small—kernel of truth to Rauner’s centrist comments. He does lean moderate on abortion. But when it comes to labor issues, he’s in Koch brothers country. For his first three years as governor, Rauner was able to drag Republicans legislators off the cliff with him on his anti-union policies. , the abortion rights legislation. So Rauner privately assured them he’d veto it. , executive director of Personal Pac, the abortion rights group. Cosgrove released a copy of a statement from Rauner in 2014, in which the then-candidate promised to sign a reproductive rights bill like HB 40. Under pressure, Rauner flip-flopped, again, and wound up signing HB 40. That angered Ives so much, she ran against Rauner in the Republican primary. is running a third-party campaign on the Conservative Party ticket, largely blasting Rauner as a sellout. So Rauner has the worst of all worlds. No one likes him. In fact, about the only thing on which Cosgrove and Ives and McCann agree is that you can’t trust Bruce Rauner. And that brings us to his current attempt to reposition himself as a centrist in a desperate hope to recapture some suburban moderates to offset the conservatives who will vote for McCann. So to remind everyone about how anti-union Rauner has been, let me point out that he initiated the Janus case. , a former state employee, that led to the Supreme Court ruling that union employees have a First Amendment right not to pay fees to their union, even if unions have an obligation to represent those workers. Thus, unions will be deprived of money they need to operate. The less money for money for unions, the more power and influence for venture capitalists, like Rauner. case was cast by Justice Neil Gorsuch, appointed by President Trump, largely to fill a vacancy that was created when Barack Obama was president. But, of course, the Republican leader, Senator Mitch McConnell, refused to give Obama’s nominees, Merrick Garland, a hearing. So Rauner’s great moment was largely a gift from McConnell and Trump. So much for Rauner the centrist. In case I’d forgotten Rauner’s other anti-union positions, ancient baby boomer that I am, I called Jake Lewis. He’s the campaign director of Illinois Working Together, a union-backed thinktank. He’s also a millennial, meaning his memory’s way sharper than mine. Oh yeah, those. Such zones basically allow workers to work union jobs without being required to join the union. Thanks, Jake—but I think you’ll have to finish your list in a future column, ’cause I’m running out of space in this one. Back to our central question—who’’ the bigger fraud, Kavanaugh or Rauner? I call it a tie. Let’s keep one off the Supreme Court and vote the other out of office. I say no more Republicans until that party comes to its senses.